Large consumers of electricity are invariably supplied at HV. On LV systems operating at 120/208 V (3-phase 4-wires), a load of 50 kVA might be considered to be “large”, while on a 240/415 V 3-phase system a “large” consumer could have a load in excess of 100 kVA. Both systems of LV distribution are common in many parts of the world. As a matter of interest, the IEC recommends a “world” standard of 230/400 V for 3-phase 4-wire systems. with the proposed standard simply by adjusting the off-circuit tapping switches of standard distribution transformers. The distance over which the load has to be transmitted is a further factor in considering an HV or LV service. Services to small but isolated rural consumers are obvious examples. The decision of a HV or LV supply will depend on local circumstances and considerations such as those mentioned above, and will generally be imposed by the utility for the district concerned. The tariff structure will cover an agreed part of the expenditure required to provide the service. Whichever procedure is followed, the same principles apply in the conception and realization of the project. The following notes refer to procedure no. 2. Some supply authorities or regulations require that the part of the installation operated by the authority is located in a separated room from the part operated by the customer. The utility must give specific information to the prospective consumer. The utility must give official approval of the equipment to be installed in the substation, and of proposed methods of installation. 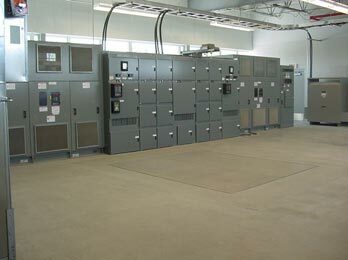 When required by the authority, commissioning tests must be successfully completed before authority is given to energize the installation from the power supply system. After testing and checking of the installation by an independent test authority, a certificate is granted which permits the substation to be put into service. The consumer has independent control of the HV switch (or CB) of the transformer(s) only, the consumer is responsible for the maintenance of all substation equipment, and must request the power-supply authority to isolate and earth the switchgear to allow maintenance work to proceed. The power supplier must issue a signed permitto- work to the consumers maintenance personnel, together with keys of locked-off isolators, etc. at which the isolation has been carried out.